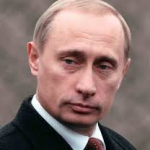 Vladimir Putin, president of Russia, has an agenda, though we may not fully understand it. While many political leaders are trying to figure out Putin’s next move and trying to determine how to stop his strategic acclamation of more territory, the Russian president simply thumbs his nose at Western leaders and stays his course. Julia Loffe wrote in the New Republic: “Russia, or, more accurately, Putin, sees the world according to his own logic, and the logic goes like this: it is better to be feared than loved, it is better to be overly strong than to risk appearing week, and Russia was, is, and will be an empire with an eternal appetite for expansion.” What is really going on? What is Putin up to? I think we can return to Bible prophecy to answer these questions. Russia is going to lead a coalition of nations against Israel in a battle called the battle of Gog and Magog described in Ezekiel 38-39. For Russia to head up such an attack, what do you suppose would have to be true about Russia? They will obviously need to have garnered some respect and influence in the region. They will need to know that they can initiate such activity without western interference. They will need strong respect from the Arabic nations who hate Israel. They will need to have no fear of the U.S. or any other nation who may disagree with what they are doing. They will need to position themselves as friends with anyone who hates Israel and promote a global intolerance of the Jewish state so Israel will look like the bad guys. Maybe we could all put our heads together and list additional reasons, but my point is that all of the things we see happening today are leading to an end that was prophesied thousands of years ago in the Bible: leading a coalition of nations in war against Israel. We cannot date when all of this is going to happen, but I do believe there is something to Putin’s strategy to ensure his role as president of Russia. All of this could linger for another 100 years, but it sure seems like something is building now. It could take 15, 20, 25, or 50 years to develop or it could happen in the next five years, but it is coming. 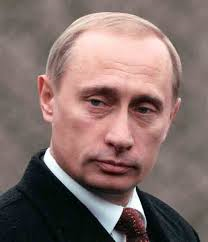 We do know that Putin will be president until at least 2018. We must respond by praying for Israel, sharing the gospel freely, doing everything we can to reach the nations with the gospel (this includes the unreached people groups of the world), preparing ourselves physically, emotionally, spiritually, and financially for what may be difficult times ahead, and preparing our children to stand strong for the cause of Christ. We are living in challenging but exciting times. Jesus said to be alert and watchful. Be diligent and faithful. Jesus is coming again. This entry was posted in Family, Prophecy by timriordan. Bookmark the permalink. I could not agree with you more! What concerns me most is the fact that scripture makes direct reference to Russia while it is difficult to trace scripture directly to the USA. Speculation at this point might be unwise; however, that is a point that needs to be considered. It could be that a future revival could happen that would cause most of us to be Raptured. That could leave the USA “null and void”. The present situation in our country does not show a strong direction to that conclusion. Wisdom does indicate that we should support Israel in any way we can. The Isrealis ARE God’s chosen people.